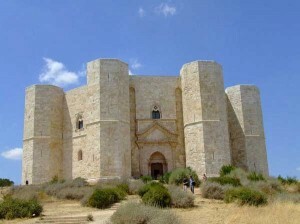 Castel Del Monte is a really great historic monument located in the Apulia region of Italy. The combination of Gothic and Islamic architecture makes the castle amazing and huge. It is declared a World Heritage site by UNESCO and annually is visited by thousands of tourist ready for adventure. Castel Del Monte is a wonderful example of well-maintained medieval fortress-castle at the crossroad of Byzantine, Arab and Western influences. 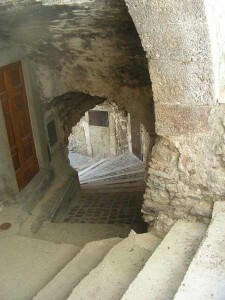 It was built in 1240 and the castle is one of the most impressive buildings of its kind in Italy. The castle is located on top of a 540 m high hill whence its name of Castle Hill. The castle was built by the Emperor of the Holy Roman Empire Frederick II. He used the castle for his vacation as villa, but the great position of the castle requested an upgrade. Later the castle was a prison and hospital. We all can see this beautiful building thanks to the efforts of the Emperor, who proved to have great vision about the future and perfect knowledge of medieval astronomy, mathematics and philosophy. The architecture of Castel Del Monte is fantastic. It is octagonal prism. There are 8 amazing towers ready to guard the castle from the enemies of the empire. When the castle was built it was really beautiful because the walls were covered with marble. The floors were also decorated with beautiful looking mosaic. There are also many bathrooms in the castle because of the Arab influence. Many beautiful parts of the castle will free your imagination about ancient knights and beautiful princesses. The castle is really huge. The walls are more than 20 meters tall and the diameter of the building is more than 50 meters. Nowadays, it is still great symbol between the different religions, but as you will see if you visit Castel Del Monte, the cultural heritage of the castle is simply enormous. If you have a time to visit Italy, the country rich in many great historical evidences, make sure to visit and the beautiful castle. You will like the trip, because you will be able to see a lot more beautiful landscapes and buildings. Italy is great vacation destination in Europe. The country is beautiful and you will definitely remember your vacation there.